As of late, I have gained an interest in Cloud OSes. If you have no idea what I'm talking about, Cloud OSes, from my understanding, deliver a very thin desktop OS that largely lives and acts in the Could (AKA the Internet). Two examples of such an OS are Google Chrome OS and jolicloud. For a good introduction video on the topic, you can watch this video. Now, for the time being, Chrome OS is in its very early stages, so much so that it doesn't really have a formal release just yet. So, I decided to take jolicloud for a test drive. Of course, I don't have a netbook, which is what it's designed for, so I worked my way through installing this thing on my 3-year-old white Macbook. 1) Use Bootcamp Assistant (located under Applications -> Utilities) to create a partition for jolicloud. I made mine about 8GB, but you could get by with much less. 2) Install rEFIt (available here). This is basically a boot menu that makes installing (and subsequently launching) jolicloud a bit easier. Make sure you run the enable script mentioned in the install documentation, or you'll never see the boot menu. If you've done everything up to this point, you should see the rERIt boot menu when you reboot your Mac. 3) Burn the jolicloud ISO (available here) to a CD. (Note: I tried using a USB thumb drive for this portion, but I couldn't get my Mac to detect it). 4) Insert the CD and reboot your Mac. 5) You should see a little penguin icon next to your Mac partition in the Boot Menu -- go for the penguin! 6) At that point you should be able to follow the installer -- it's basically your typical Linux installer. 2) In that same area, update your mouse/accessibility settings so that long-clicking on something = right-clicking. Unfortunately, with only one mouse button, this was the only way I could figure out how to get right-clicking to function. I haven't had much time to play around with the OS itself yet -- but if you have any tips or suggestions, I'd be glad to hear them. 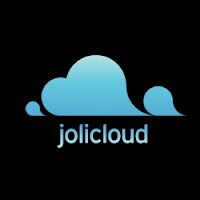 Thanks for the post about Jolicloud. I, too, am just starting to play around with Jolicloud. I have it installed on a netbook and am liking the interface. Have you installed a citrix client on Jolicloud. I would love to have Citrix receiver to access my work environment but haven't figured out how to install it. Suggestions? I have not yet tried installing the Citrix Receiver on Jolicloud. I'm pretty sure it's not in their "app directory" just yet. However, since Jolicloud is just a Linux implementation, you might be able to install the Citrix client for Linux -- however, I don't think it'll be accessible through your Jolicloud app panel after installation. Jolicloud actually suggests not installing other apps. They recommend sending them a message to request the app to be added to the app interface. Hi guys! I just got Jolicloud up and running on my MBP...thanks for the tutorial. The issue that I'm having is that I add an app, but it doesn't actually "add". It places a faded icon, but I can't actually use the app. Any ideas??? 5 - follow whatever instructions appear. 6 - you're good to go. Great post about Jolicloud. I'm getting a new Mackbook Pro and this really helped. But I need to know if your three year old Macbook ran Snow Leopard. I need this to wokrk on Snow Leopard. I'm not sure about Dan, but I can attest to using Snow Leopard for my Macbook. I can't make any guarantees, but I think you should be OK! Would this process work on a Powerbook G4? I've been thinking of ways to put the old one to use rather than render it useless. It's been a bit sluggish lately. Any ideas? Hey Evan, Thanks for the comment! I'm not entirely sure if your G4 will work (since that's PowerPC right, and not Intel?) I would say, give it a shot on a live CD, to test, before you commit to anything. Another option would be try Ubuntu's Netbook OS: http://www.ubuntu.com/netbook. Hi! I followed your tutorial, but when I restart, I don't get the penguin option. Do you have an idea why and how to fix it? How should I burn de CD? I did it with the Finder. Thank you! It sounds like, for whatever reason, rEFIt is not detecting your CD (this is initially why I had to burn it to a CD instead of using a thumb drive - it would never detect the drive, i.e. show the penguin). Check out this url regarding installing the Citrix Receiver on Jolicloud (https://andreharrison.wordpress.com/2010/09/11/citrix-receiver-11-0-install-on-jolicloud-1-0/) It looks pretty much the same as installing the Citrix Receiver on a Linux desktop/laptop, using the tar archive from Citrix. I haven't tried it as I don't have Jolicloud installed on anything yet. Thanks for the link Greg. If anyone tries this out, let me know how it goes! It installed but keeps saying continuing boot process when I try and boot. If I hit escape it looks like it's stuck at checking battery state. Strange bc the live version is flawless. It's a late 2008 Unibody MacBook I think a 5,1. Sorry to hear about that! I wish I could help you out, but I really have no idea what's going on there. Maybe someone here can provide some additional insight. Or, if you discover what's wrong, please post the solution, if you don't mind! I'm installing Jolicloud 1.1.1 on a USB disk using your tutorial. I've installed the rEFIt on a 1 GB partition on the USB disk and works ok. While starting from the cd it works an finished the seting up but... When I reboot and choose the Jolicloud partition, it says there is an error on the operative sistem... Anybody knows how can I fix it? on joli OS 1.2 how can you access the control panel? I cannot change the keyboard settings. What settings are you looking to change for the keyboard? Unfortunately, I haven't hopped on Jolicloud in awhile, so I'm not quite sure off of the top of my head. It looks like there's an icon (that's a gear) that may be related to changing settings. Let me know if I can provide more help. Thanks!